Our journey started in 2003 as a planned 16-month trip. It's crazy to realize we've now been we've now been riding for over a decade! Our journey began as a wonderfully ambitious but naive personal and private challenge, which over the course of 14-years on the road simply became our life and defined who we are today. 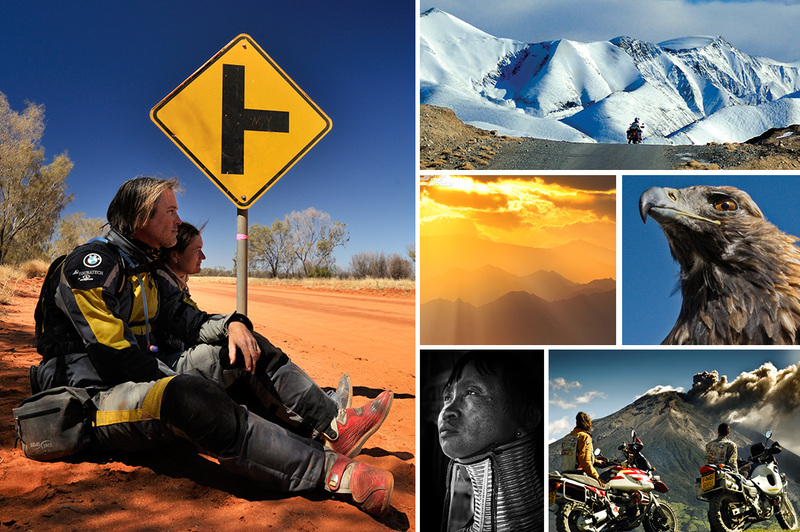 Before Facebook, Instagram, twitter and action cameras, we would sit and excitedly scribble lists of legendary locations we'd visit, deserts we wanted to ride, mountains we wanted to summit and cultures we wanted to immerse ourselves in. Finally the broad outlines were firmed up; Today these goals remain unchanged. 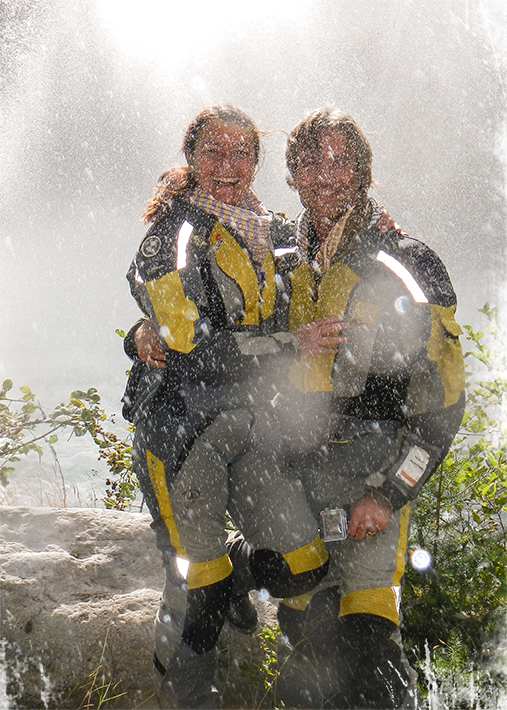 Simon & Lisa really are the King and Quen of adventure riding.” Allan Karl, Author, adventure rider. On a wet and windy UK summer morning the two of us made a decision that would change our lives. After years of compromise in the corporate world, of spread-sheets, pointless meetings and life sucking commutes, we craved a change and a chance to write our own life story. As a couple, we wanted to step out of our comforts zones, face our fears and loosen our grip on the 'control' we'd always thought we'd needed, to be successful. There is restlessness and a curiosity in us both, that's always driven us to explore around the next bend and peak over the horizon. It was time to let loose! 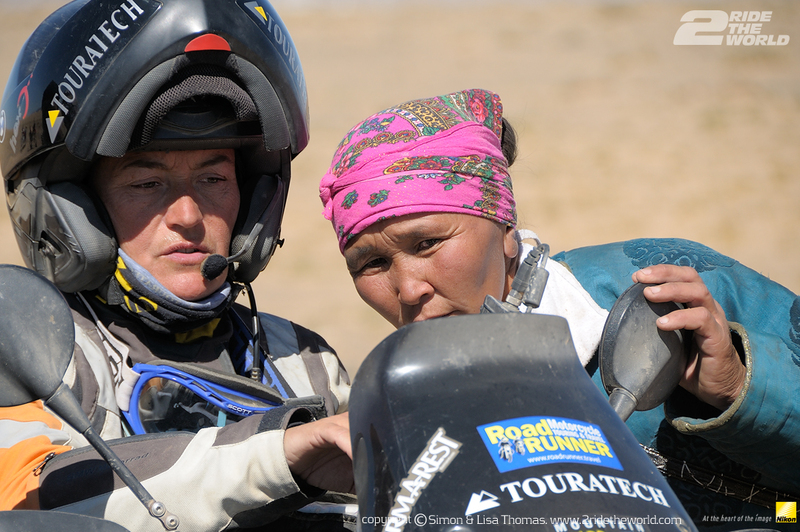 Our overland adventure has surpassed every crazy, scary, exhilarating, beautiful and overwhelming expectation we ever had. 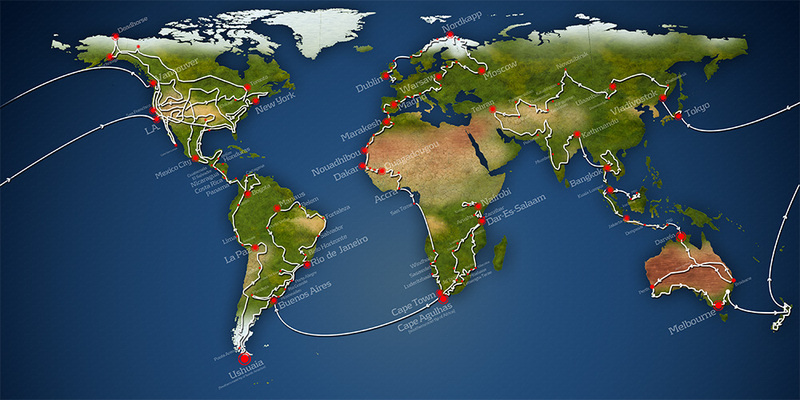 Riding side-by-side we've ridden from the most northerly parts of Scandanavia to the the southerly fringes of Patagonia and criss-crossed 6 continents. Along the way, we've put our lives in each others hands and lived more than either of us ever dared to image. We have proven that together that there is no challenge we cannot rise to, learn from and overcome. After 480,000 miles we have redefined in our own minds, the definition of success, and crucially even happiness. Through the lens we've captured and shared our life for 14-years, sharing our triumphs and defeats and paving the way for others to follow in our tracks. Our lives are often challenging and frequently uncomfortable but thay are also vibrant and exhilarating. We've discovered a world of wonder, culture, camaraderie, value, strange beliefs, ancient traditions and trust, and our lives have been touched by incredible people on six continents, hopefully we've touched the lives of others, in turn. Together we've crossed mountain ranges and explored dusty trails and have thrived, struggled, lived and learnt and today we are craving more. Like us, our journey as evolved and today our travels have connected with millions around the globe in a way we could never have imagined. In some small but meaningful way, we know that through sharing our experiences, our images and our writing, that we can inspire other to do the same. To travel is one of the greatest privileges and being able to share and motivate others is rewarding beyond measure. Funny thing is...we set out to discover the world, and ended up discovering ourselves, and our tiny place on it. dream big, take nothing for granted and enjoy the ride. If you really want to get your head around journey, then check out our route video below. Visually it conveys a scale I'll struggle to convey. Don't forget to leave your comments at the bottom of the page. It’ can be tough for us to wrap our heads around the length, size and stats of our journey. Sometimes numbers explain it’s scope better than a thousand words. We’ll update this page when we can and provide you a way to better understand our journey, it’s cost and what’s it’s meant to us. In the mean time scan over the figures below and let us know what you think we a commentor two. See you down the road.